I wrote last month about how the Syracuse men’s basketball team has produced more NBA draft picks beyond what would be expected given the rankings of incoming recruits than any other team in the country. With nine more draft picks beyond what an average team would produce with the same talent since the one-and-done era began, Syracuse edged out Connecticut and Kentucky and finished far above Duke. But what is it about the Syracuse program that makes it so successful in producing NBA draft picks? The easy answer is good coaching. But since the model I created calculated expected draft picks based on high school recruiting ranking, it’s possible that Syracuse coaches simply do a better job at identifying NBA talent relative to the high school rankings than other teams – and that the coaching itself is not the determining factor. To test whether it is the scouting ability or the coaching ability of Coach Boeheim and his staff, I ran the same model on 67 players whom received a Syracuse offer but did not attend SU, according to 247Sports. The idea is that because the players received a Syracuse offer then the coaches considered them good enough to play for the Orange. If these players who didn’t end up at SU are drafted at about the same rate as Syracuse players, then the Orange’s success in the draft is likely due to scouting. But if the players who were offered by SU but did not accept are drafted at a lower rate than actual Syracuse players, then the Orange’s success in the draft is likely due to coaching or the overall program. The results were black and white. From 2006-2017, Syracuse had 9.14 more players drafted beyond what would be projected based on high school rankings. Meanwhile, the group of 67 players offered by Syracuse who did not play for the Orange had 5.41 fewer players drafted than would be expected. That’s a difference of 14.5 players drafted in 10 years between the group of players who committed to Orange and the group of players who declined an SU offer. 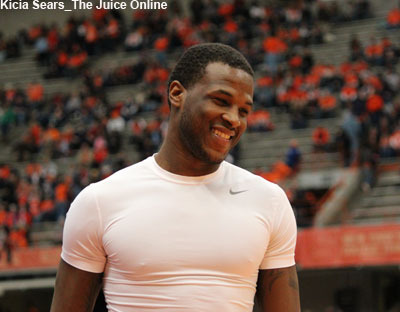 Who are the players who received a Syracuse offer who did not end up getting drafted? The list includes recent high-profile recruits, such as Isaiah Briscoe, Wayne Seldon, and Kobi Simmons. Ironically, all three of these players attended “blue blood” programs, specifically Kentucky, Kansas, and Arizona. This shows that blue bloods are no guarantee of getting drafted, even for a highly ranked recruit. 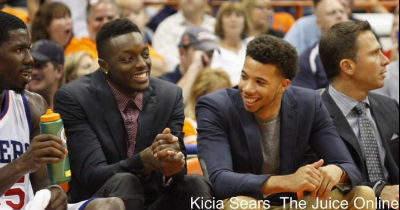 Both Seldon and Simmons ended up landing contracts with the Grizzlies as undrafted free agents, but the fact that Syracuse has been so successful at getting players drafted into the NBA suggests they may have had an easier route had they committed to the Orange. But if it is truly the SU program and good coaching that helps Syracuse players get drafted at a higher rate than other schools, what about the criticism that Syracuse players don’t learn how to play man-to-man defense because Boeheim employs the zone full time? I looked at every Syracuse draft pick since 2003 and found that if Syracuse players are worse defensively than the NBA average, it’s only very slightly. First, I examined the defensive rating of all 17 SU players drafted going back to Carmelo Anthony. Defensive rating estimates the amount of points a player is expected to allow per 100 possessions, and SU players averaged 109.2. The NBA average last season was 106.1, which is slightly better. Because defensive rating can be heavily influenced by the defensive of a player’s teammates, and because I wanted to focus on the players’ early career (when presumably any liability from playing zone would be most prominent), I also examined defensive win shares over players’ rookie and sophomore NBA seasons. SU players averaged 0.67 defensive win shares per season in their first two campaigns. The average for all NBA rookies and sophomores over the last two seasons was 0.73. Again, SU players are slightly below average. But it’s possible, particularly given the small sample of SU draft picks, that Syracuse players have just happened to be below-average defenders, regardless of playing the zone in college. If the zone were truly a factor in preventing players from becoming good defenders in the NBA, you would expect no SU players to be among the league’s top defenders. Instead, you find that SU players with a reputation as good defenders in the zone tend to also be good defenders in the NBA. For example, Michael Carter-Williams ranked 12th among NBA rookies in defensive win shares in 2014. The following season, Jerami Grant finished 8th among rookies. In total, the evidence is overwhelming that attending Syracuse is one of the best colleges for maximizing a high school player’s chances of getting drafted. And if the zone hurts SU players’ defense on the next level, it’s very minimal on average and has not hindered the defensive success of many individual former Orange players. Legal Sports Betting in the US: Good or Bad?